A modern house on two levels with magnificent views. There's drive-on access to the property with off-road parking for two vehicles, and a walking track down through native bush to the jetty. Additional vehicles and boat trailers can be parked by the roadside. The property has two moorings and dinghies and kayaks for use. The house has a CD-stereo, magazines, games in a cupboard, a TV for watching movies you bring with you, and gets a clear signal for 2degrees, Vodafone and Telecom mobiles. But there’s deliberately no TV aerial or satellite dish. 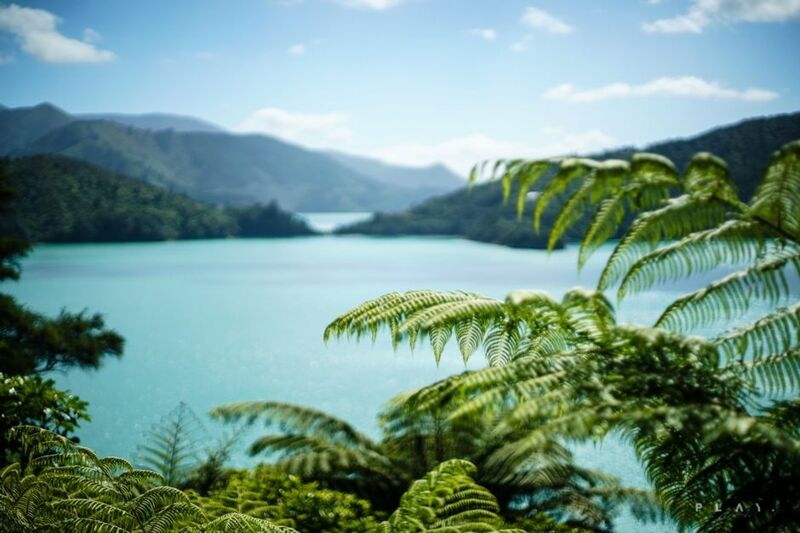 If you’re looking for more to do, it’s only 3km to the bar, restaurant and boat ramp at the nearby Portage Hotel, or 7km for coffee at Te Mahia or Mistletoe Bay. Note that this is a family holiday home that's rented occasionally to contribute to the running costs. It is not a permanent rental, and needs to be looked after by guests. Prices are for 4 people, with extra people $10 each. Two night minimum stay. We live too far away to service the house, so linen cannot be supplied and guests must clean the house when departing. Neighbours unlock and open the house for guests. Ask us about our moorings if you wish to use them. And please note that our house is no smoking, and no dogs or other pets. NOTE: Under Kiwi bach tradition you are expected to clean the house and do the dishes before you leave, and bring your own linen (sheets/pillowcases/towels/bathmats/tea towels). No TV reception. It's to connect to your laptop and watch movies you brought with you. Bookcase with lots of books for reading. A cupboard of children's games and board games. Life jackets available at the house. Thanku so much to the owners for sharing their wee paradise in the sounds. This place completly surprised my family with firstly the view off the big deck space but kept coming with all areas to be as hospitable as you require plus more! The home is modern, very well equipped, very clean, plenty of super comfy beds plus games, books and kayaks etc.. we definitly kept busy and luved every day for 8nights stay! We had a fantastic time here with our kids! We rowed to the other side of the bay in the dinghy, marvelled at the many little sea stars, walked part of the queen charlotte track, and generally enjoyed the beauty of the Marlborough Sounds! Superb setting with all domestic amenities. Availability of dingies and kayaks a real bonus along with the access to the shoreline. Wonderful views of the Sounds whilst nestling in the bird-filled bush. Beautiful, stunning views, well equipped house. Wonderful safe bay for kids to fish,swim and kayak. Awesome. The lower level bedrooms were musty, damp smelling and uninviting. Despite opening windows the stale damp smell remained for the two days of our stay.